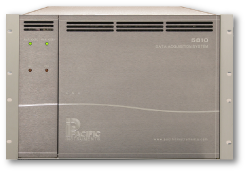 Transient Recording Systems - Product Overview - Pacific Instruments, Inc. 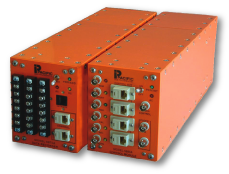 Rugged, DC powered enclosures are available for recording transient data in harsh physical environments. 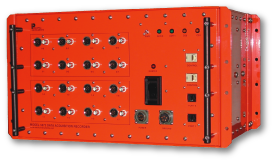 AC powered rack-mounted enclosures are available for high speed transient recording in laboratory environments. 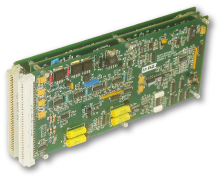 I/O Modules have high bandwidth, dual mode (Bridge and ICP/IEPE) signal conditioning. Each channel has a high gain amplifier, programmable filter and analog output. The digitizer is available with 14, 16 or 24-bit resolution and sample rates up to 10MS/s per channel. Simultaneous sampling provides excellent time correlation between channels. Data is recorded to onboard memory that is debriefed following a test sequence. 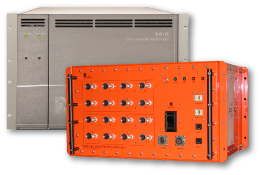 PI580 is the turnkey application software for the Series 5800 Transient Recording System. 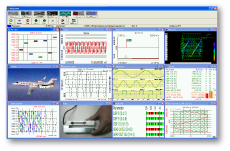 PI580 operates in the Windows environment and includes everything for system setup, calibration, data display, debrief and export for post processing.